It is typical to see a lot of larger properties letting in Q3 as families find their home for the next academic year. Inside of Oxford these homes let steadily early in the summer before the market started to quieten towards autumn. 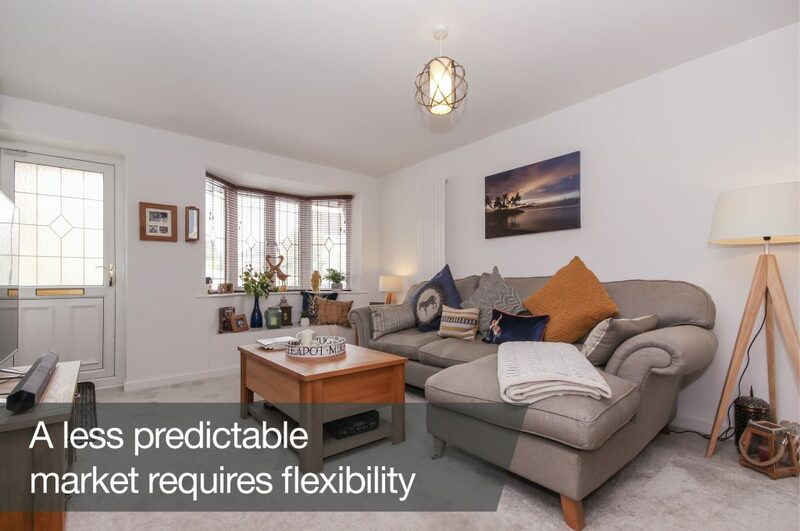 Outside of Oxford good quality 3- and 4-bedroom properties have been letting quickly, for example a 3-bedroom home in Bicester at £1,3952 which was upgraded and then let on the first viewing (photo above). Speedy letting has been especially true if the property is slightly more unusual, for example a 3-bedroom house near Woodstock (photo below) at £1,550 which let to a family within days of being listed. Across the county 1- and 2-bedroom flats and houses have been letting very well to single tenants or couples. 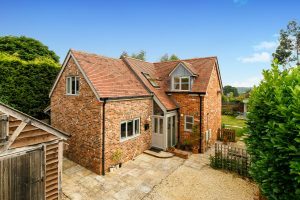 They are not just looking for modern new-build homes; village properties have been popular outside of Oxford (such as a 3-bedroom cottage in Shutford at £925). What is uniform across all property types and locations is that applicants have been more focused on quality than price this quarter. If the property had been upgraded it let very quickly, for example a 2-bedroom house in East Oxford (photo below) at £1,400 which had three offers from four viewings within two days of being listed. September has been the focus for a lot of tenants relocating to Oxford for study from Europe and beyond. 1- and 2-bedroom properties in OX1 available for September move-ins had all been let early in the summer and we saw a lot of applicants searching at short notice in OX2 later in the quarter; in the first half of September all lets agreed in our North Oxford office were to academic tenants. In East Oxford we noticed significantly more non-European post-graduate students who were renting property close to Brookes University compared to last year. There is plenty of development across the county and this can impact renewals in areas where first-time buyers are heavily incentivised. Equally, high-quality, new build homes are attractive to applicants as evidenced by four properties in Woodstock which let on the first viewing, including a 1-bedroom flat in Woodstock at £1,025. We have been achieving solid rents for good quality properties, and we proactively advise on rent levels in order to minimise voids. The key is to be flexible – if you want to be bold with your rent, be prepared to adjust it quickly if you are not getting any interest. 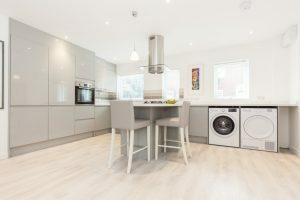 Above all, remember than an empty property doesn’t just mean zero income, it will actually cost you money in terms of paying for utilities and council tax as well as maintaining the property (and garden) for viewings. The housing market is slowing as sales recently fell to their weakest level in five years3. If supply of sales properties outweighs demand then prices will fall. Our recommendation is to get the property listed for letting soon and then aim to sell when the market is more buoyant. 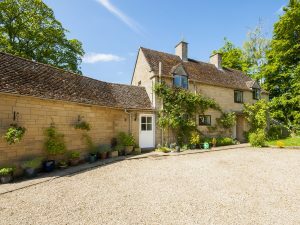 Across Oxfordshire we have over 20 examples of letting properties which have failed to sell over the summer months. For example, a contemporary 4 bedroom house in Freeland (photo above) which was on the sales market for 6 months before our Witney office listed it at £1,750 and let it on the first viewing. Elsewhere, our North Oxford office had let out a 4 bedroom house in Summertown for 13 years before the landlord decided to sell earlier this year. Despite being ‘priced to sell’ it had no interest and so a few months later the landlord came back to us and we let the property again. If you are struggling to sell, now is the time of year to get it back on the letting market. Don’t wait for it not to sell in the depths of winter when you’ll achieve a lower rent. In the coming months we expect the volume of applicant enquiries to decrease. This is not necessarily a bad thing as applicants at this time of year tend to be more serious about moving, and with the seasonal drop in supply these tenants tend to be more decisive. Towards the end of the year we will see the usual ‘Christmas bounce’, where people use their time off to search for a new home and we come back in January to hundreds of enquiries from people ready to view. Make sure your property is listed before Christmas to secure a tenant in early 2019.